Earn $150 after spending $1,000 on purchases within the first 3 months. Terms Apply. Cardholders earn 3% cash back at U.S. supermarkets up to $6,000 in purchases each year (then 1%), 2% cash back at U.S. gas stations and 1% back on other purchases. You'll earn $100 after spending $1,000 in purchases on your new card within the first 3 months. 0% intro APR on purchases and balance transfers for 12 months, afterward a 13.99% - 24.99% Variable APR will apply. If you are looking for a credit card with significant cash-back rewards and no annual fee, the Blue Cash Everyday® Card from American Express (a SmartAsset advertiser) may be a good fit. Like with other cash-back credit cards, users can earn 1% cash back on most purchases (fees or purchases of cash equivalents like traveler’s checks are not included). 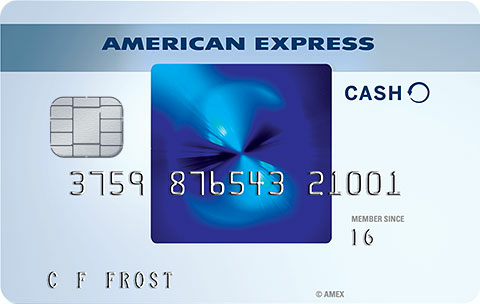 However, unlike other cards, the Blue Cash Everyday® Card from American Express offers big rewards at supermarkets, gas stations, and department stores in the U.S. Card users can earn 3% cash-back on their first $6,000 worth of purchases from U.S. supermarkets (1% afterward) each year, a significant savings for any frequent supermarket shopper. Moreover, you can earn 2% cash back on purchases at select U.S. department stores such as Macy’s or Sears and 2% cash back at U.S. gas stations. Shoppers who register also get the added benefit of return protection of up to $300 per purchase and $1,000 per year for eligible unused items that the seller refuses to refund. In addition to those looking for large cash-back rewards, the Blue Cash Everyday® Card from American Express may be well suited for those with outstanding debts on other high APR cards. With 0% intro APR on purchases and transfer balances for 15 months, the card allows you to transfer any debts still owed on other cards (for a small $5 or 3% transfer fee, whichever is greater) onto the Blue Cash Everyday® Card from American Express. After the 15 month introductory period, the APR will increase to 15.24% - 26.24% Variable so it is safest to pay back any debts before the end of the 15 month period. Furthermore, there is no annual fee for the card, providing more reason to transfer outstanding debt onto it. As long as you pay at least the minimum payment for the card each month (otherwise you may lose access to this deal), you should be able to save a lot of money on interest. The combination of significant cash-back rewards, a 15-month introductory period with 0% APR (15.24% - 26.24% Variable afterward), and the opportunity to receive $150 for spending $1,000 in the first 3 months for no annual fee could make the Blue Cash Everyday® Card from American Express worth your while. For those interested in even higher cash-back rates, check out the American Express Blue Cash Preferred® Card.